I haven't gotten out much to shoot lately, so I'm looking through my autumn shots from this fall for photos to share. Two of the prime weekends for fall color this October were stormy. So I have a lot of rainy, misty shots this autumn. At the time I took the shot above, there was a steady drizzle of rain, and I had had it. Hiking in the rain, keeping the camera dry and the lens free of rain drops (while holding a dog on a leash) ... not much fun! But shooting in these conditions can often make for some interesting shots in spite of the frustrations. 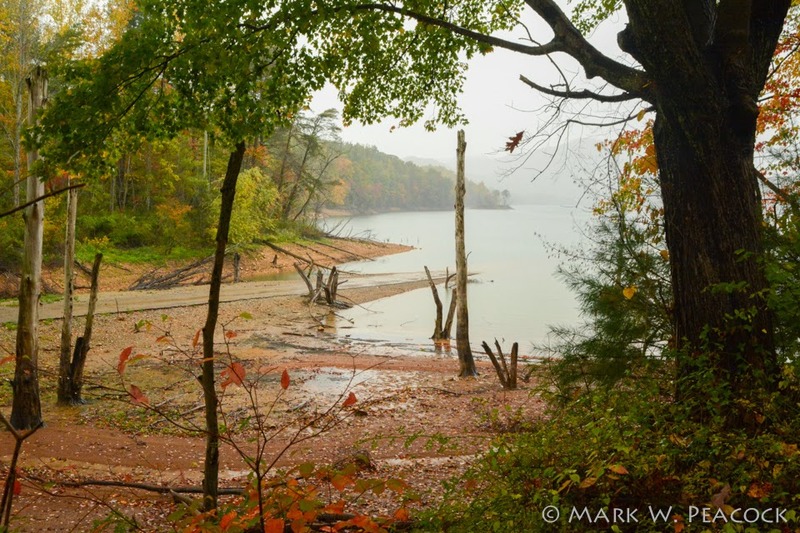 The photo on the left shows an old boat ramp entering the western end of lake near Hampton, TN. It makes me wonder where the roads used to be before the lake was completed by the TVA in 1948. Who knows, maybe this was an old road bed that led to the old town of Butler? 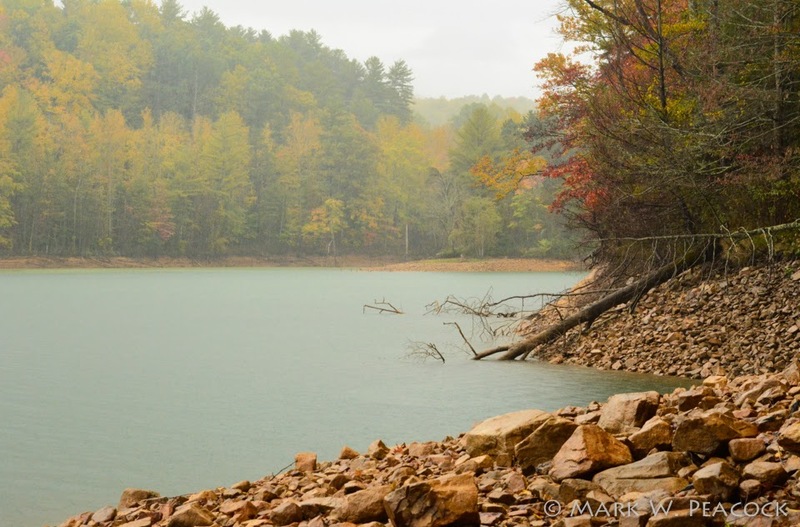 I haven't seen any old, 'pre-Watauga Lake' road maps of the area. There is a nice Butler museum in the new town of Butler, TN which is worth checking out if you're ever out that way (open seasonally). It tells the interesting history of the town and the people displaced by the lake.